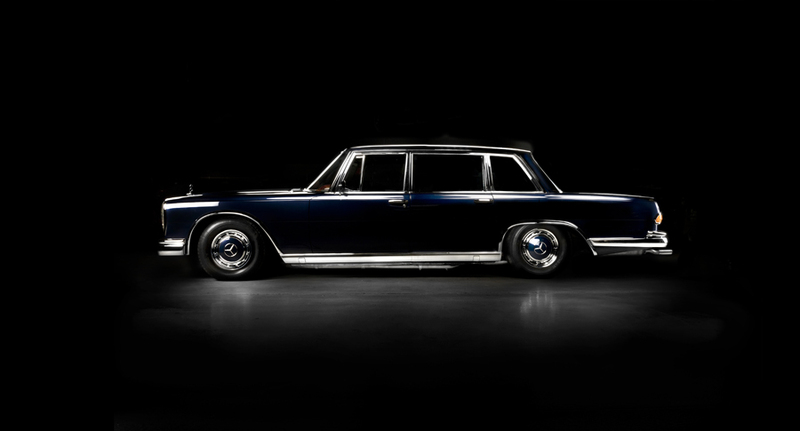 The Mercedes 600 is a true icon from the 60's and apart from the Pope and governments, famous owners of the 600 have included celebrities such as Coco Chanel with Jamiroquai’s Jay Kay buying Coco Chanel’s old car. Hugh Hefner, Aristotle Onassis, Jack Nicholson, and Elvis Presley were also all owners of the 600 with notable dictators that have also had a love affair with this car including Fidel Castro, Pol Pot, Leonid Brezhnev, and Kim Jong-Il, former Philippine President Ferdinand Marcos had four 600s including a Landaulet, a 1981 bulletproof and a six-door version. 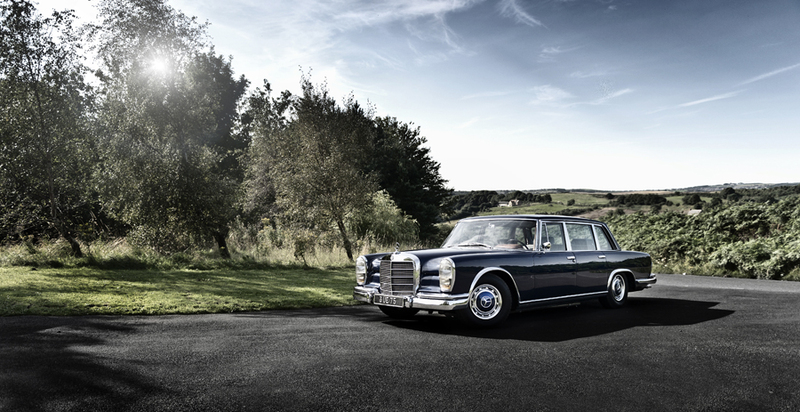 The Mercedes 600 has also featured in the James Bond films, most notably as transport of the villain Ernst Stavro Blofeld in On Her Majesty's Secret Service and Diamonds are Forever. This week car photographer Tim Wallace shot such a noted example of the 600 for one of our International clients. The Mercedes 600 is a true icon from the 60's and apart from the Pope and governments, famous owners of the 600, and in the case of this model, have included celebrities such as Coco Chanel with Jamiroquai’s Jay Kay buying Coco Chanel’s old car. 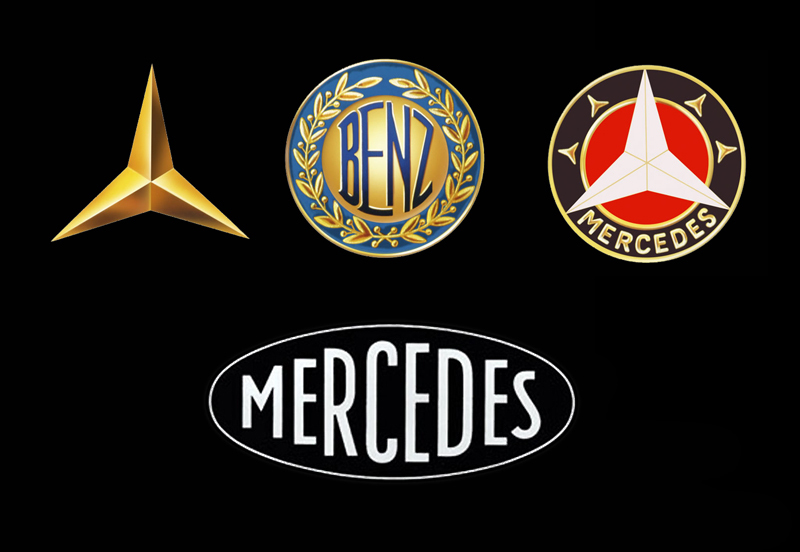 Hugh Hefner, Aristotle Onassis, Jack Nicholson, and Elvis Presley were also all owners of the 600 with notable dictators that have also had a love affair with this car including Fidel Castro, Pol Pot, Leonid Brezhnev, and Kim Jong-Il, former Philippine President Ferdinand Marcos had four 600s including a Landaulet, a 1981 bulletproof and a six-door version. The Mercedes 600 has also featured in the James Bond films, most notably as transport of the villain Ernst Stavro Blofeld in On Her Majesty's Secret Service and Diamonds are Forever. This week car photographer Tim Wallace shot such a noted example of the 600 for one of our International clients. 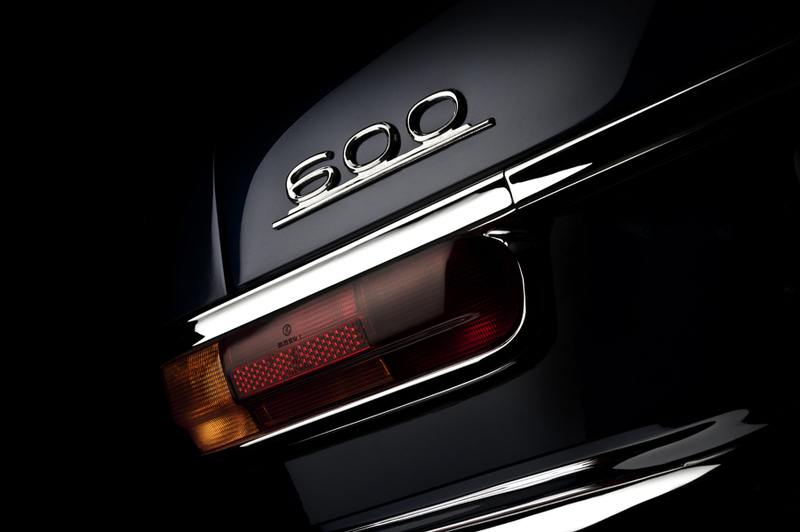 Mercedes-Benz introduced the 600 at the International Auto Show in Frankfurt in 1964. Powered by a 250 horsepower alloy 6.3-liter V8 engine, the 600 accelerates more like a sports car than a traditional limousine. A comprehensive hydraulic and pneumatic system powers an adjustable self-leveling suspension, assists the four-wheel disc brakes, powers the windows, maneuvers the seats, and aids in the opening of the doors and the trunk lid. The 600 was available in a number of possible coachwork choices, and numerous options, resulting in each being essentially a custom built car. There were two wheelbase options, a four-door and six-door variant and numerous seating arrangements to select from. In September of 1965, a four-door Pullman landaulet (partial convertible) was built for Pope Paul VI. It has an individual seat on a raised platform allowing for a flat floor, a raised roof, and extended rear doors. This vehicle was used by the Vatican for two decades and served three popes, returning home to the Mercedes-Benz Museum in 1985.